Which Types Of Soil Do Subterranean Termites Prefer The Most? As far as termites are concerned, not all soil types are created equal. 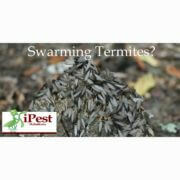 Sand, clay, topsoil, potting soil, and peat soil can influence the movement of subterranean termites below the ground. This is not too surprising, as you would expect a greater degree of termite movement in soils that are loose, like sand, as opposed to soils that are compact, like clay. However, the type of soil can influence foraging behavior, habitat distribution, and even termite mortality. Since termites cause a massive amount of expensive structural damage, you would think that the manner in which termite behavior is influenced by soil type would be well known to entomologists. Surprisingly, this is not the case, as termites are understudied relative to other insect species. Not long ago, scientists conducted a study on this very topic in order to fill a gap in scientific literature on termites. Tunneling behavior and shelter tube construction are just a couple of the many aspects of termite activity that is influenced by soil type. Not surprisingly, termites can tunnel through sand much faster than they can tunnel through clay and topsoil. When termites were placed into containers that contained clay and topsoil, they would construct tunnels along the sides of the container. This is probably the easiest way for termites to build tunnels in containers containing clay and topsoil, as the termites in the study made use of the container walls in order to make tunneling less labor intensive. Termites that were placed in containers containing sand built tunnels relatively fast, and they did not limit themselves to the container’s sides. The interaction between a particular soil type and its moisture retention influenced the movement, feeding and survival of termites. When a group of termites were given a choice between three different moist soils, they gathered in topsoil as opposed to potting soil and peat moss. However, these same termites also chose dry potting and peat soil over over dry sand and clay, suggesting that moisture has a significant influence on termite activity. 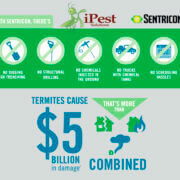 When water within potting and peat soils evaporated, termites quickly died. However, the termites that were active within top soil, sand and clay somehow retained enough moisture to live for nearly a full month. 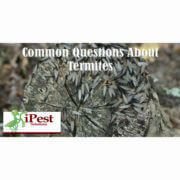 Do you believe that there is a correlation between the frequency of termite infestations and soil type? 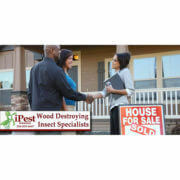 https://www.wacopest.com/wp-content/uploads/2015/02/waco-termites.jpg 430 1500 John https://www.wacopest.com/wp-content/uploads/2018/04/ipest-solutions-logo.png John2018-08-15 10:33:442018-08-15 10:33:44Which Types Of Soil Do Subterranean Termites Prefer The Most?